"The software was designed specifically to address extreme events where damage to the power grid and the resulting outages are significant," said Carleton Coffrin, a computer scientist at Los Alamos National Laboratory and lead developer of the software. "It can tell users where the greatest outage is expected prior to an event. By offering it as open-source, so it's free and available to the public, we're hoping to help government agencies and grid operators mitigate the devastating effects of extended power outages." The Severe Contingency Solver is the product of hard-earned scientific advances in power grid mathematics that leverages Los Alamos National Laboratory's expertise in physics, mathematics, and computer science. 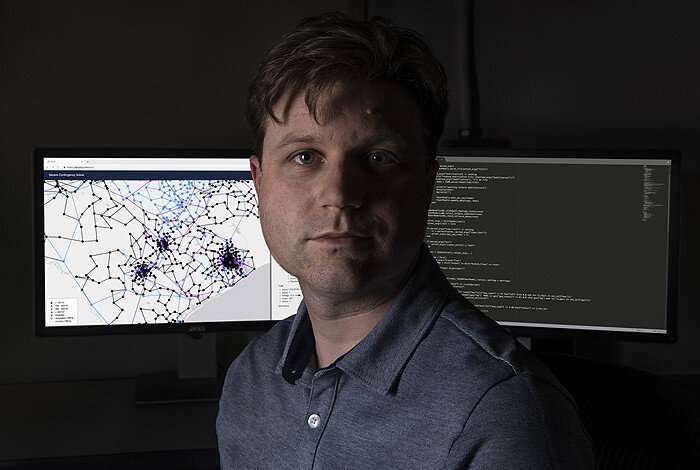 In the past, quantifying the multi-point damage to a power grid depended on extremely complicated calculations simulating the nonlinear physics of the grid—that work involved 100,000 variables and equations. The Los Alamos team created new algorithms making the calculations more reliable and removing the need for human mediation.